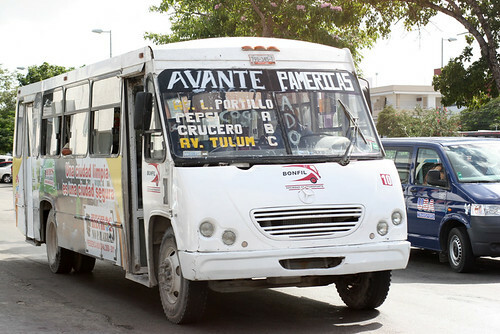 Mexican bus in Cancun, originally uploaded by Bednarski Media. It's the cheapest way to travel in Mexico... It costs 6.50 peso per ride (50 cents), so no wonder buses are very popular. It is safe to ride them during the day in Cancun, but at night it's wiser to take a taxi.